Two of the most powerful world companies are opening precious metal mines near Bor. Investment of 75 million dollars. Pits will be completed in 5-6 years. After one of the world’s most powerful mining companies – American Freeport Macmoran installed itself in the vicinity of Bor – and found rich deposits of copper and gold, another world’s powerful mining company, British-Australian corporation Rio Tinto got involved in the search for new deposits of these metals on the mountain Crni Vrh. 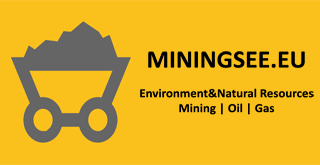 Canadian company “Reservoir minerals” (RMC), which is working in cooperation with the “Freeport” on the exploration in the vicinity of ​ Bor in the area of Cukaru Peki , has the licenses for geological exploration on Crni vrh, and in the area of Zaječar village Nikoličevo as well as in Kraljevica. After the first positive results, Canadians have concluded the contract on forming a joint company with “Rio Tinto” which will invest as much as 75 million dollars in the “verification” of potential reserves of copper and gold in this area! There are serious indications that the sites in Nikoličevo and Kraljevica are very similar to the Bor deposit “Čukaru Peki” in its geological potential where “Freeport” and RMC found initial source of 65 million tons of ore from which it is possible to obtain about 1.7 million tons of copper and 98 tons of gold, worth about 18 billion dollars. In addition, exploration on this location is continuing because the richest well on the planet that contains a whopping 50.3 grams of gold per ton of ore is found there. Based on historical data, as well as field research, locations “Čoka Kupjatra” and “Tilva Njagra” on Crni vrh, are potentially very rich in gold. Initial exploration confirmed the presence of the red and noble metals. Current information suggests that it is possible to dig up more than 70 tons of gold. Exploiting this location alone would bring jobs for at least 250 workers, and the state of Serbia would earn 38 million dollars from the mining fees.